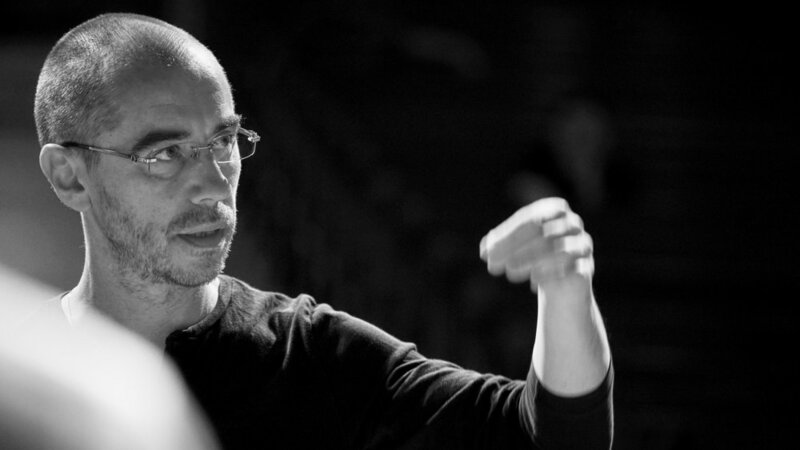 Jaan-Eik Tulve is the Artistic Director and Conductor of the Vox Clamantis ensemble. He studied choir conducting and Gregorian chants, which he now also teaches at the Tallinn Academy of Music and Theatre. He has worked with a number of famous abbey choirs in addition to performing and creating records both in Estonia and abroad. The ensemble Vox Clamantis has been successfully active since 1996. Where did your interest in Gregorian chants originate from? That is difficult to answer concisely. During my studies at the Tallinn Conservatory at the end of the 1980s, medieval culture, when compared to the soviet ideology, was considered completely backwards. The more I learned about it, the more I understood how much contemporary Europe has relied on the medieval period. Similarly, also supported by Christianity, which was more directional then than it is now. Following my graduation from the conservatory, I continued my specialized studies in Gregorian chants at the Paris Conservatory. It seems that recently interest in Gregorian chants has been increasing in Europe. Is this true and why is that so? It is natural for people to go through long periods of searching during their lives. Sometimes these searches occur over many generations. One generation begins, the next one is confused, and only by the time it reaches the third and forth generations they find what all the previous generations had been searching for. It is also natural for younger generations not to consider the experiences of their elders, but rather feel the desire to experience and discover everything for themselves. Often they think they are smarter than the previous generation. This could well be the case; however, older people definitely have more experience than younger people and that in itself is an important kind of intelligence. Today's society is moving so quickly in an age filled with massive amounts of information. I have met many people who, in this frenzy, have lost touch with the ground beneath them leaving them with only one choice: to start searching for their roots. The roots of Europe are in Christianity; thus, youth often find their way to church. The noise around us forces us the search for quiet. Gregorian chants hold messages of silence and spirituality, which have remained fresh for the last two thousand years. You have studied abroad and travelled a great deal. What has been the most exciting place to perform with Vox Clamantis or with another group? Since we have travelled to almost every part of the world with Vox, I have so many such places and a number of different memories from each that have strongly remained with me from various times. It's important since all of these places have in some way opened new aspects of life. This is the reason I love to travel because through travel you are able to see people in their natural habitats and people are always interesting. I almost always travel because of work, so I am also able to offer these people something in return. It's especially heart-warming when a strong dialogue happens with the local people at a concert. These kinds of connections have even occurred despite language barriers. To name one in particular, our first trip outside of our typical circle of travel was to Lebanon, which was both entering into an old and unique culture that could in its own way be considered the source of Christianity. I would also mention the trips to Columbia and Australia, which are both memorable for their rich and beautiful natural environments. Your wife is the composer Helena Tulve. Are your other family members associated with music at all? Yes, all of my children are associated with music in some way. My daughter Eliann is a member of the ensemble Holy Motors, whose debut album was just released by a USA record company. My sons, Nathan and Jakob, are involved in electronic music. Last year we organized a family concert, where we performed music by Helena and my children with Vox. As I travel a great deal, in my free time I'm happy when I am either in my city home or my country home in Setomaa. Is this your first time in Canada? What are your expectations for the trip? We were in Canada ten years ago at the Quebec International Sacred Music Festival and I still remember how warmly we were received. This time we will be in Toronto where there is a very different culture. Toronto has also been home to many Estonians for almost one hundred years. We always have the same expectations – that we will have an empathetic connection and dialogue with the audience.